Организатор соревнования ОО «Экстремальная Атлетика» и Школа скандинавской ходьбы "Евразия" (ТОО "Nordic walking") при поддержке Российской Федерации северной ходьбы. 42 км , контрольное время 7 ч. 7. ОСОБЕННОСТИ ТРАССЫ, ПУНКТЫ ПИТАНИЯ. > Дистанция 42 км: Старт от Тамгалы-Тас – движение по грунтовой дороге вдоль реки Или (вниз по течению). Через 6 км разворот и обратно. Не доходя 1 км до старта, снова разворот - это один круг, которых будет 4. После четвертого круга последний километр к месту старта/финиша..
20:00 начало брифинга для участников дистанции "Nordic Marathon 42"
07:00 - старт дистанции "Nordic Marathon 42"
19:10 открытие Home Credit Tengri Ultra 2019 и церемония награждения победителей категорий «Ultra 70» и «Ultra 70Relay» и дистанции "Nordic Marathon 42"
19:45 брифинг для категорий «Sprint 15» и «Trail 35», "Nordic Sprint 15" и "Nordic Trail 35"
07:00 старт дистанций «Trail 35» и "Nordic Trail 35"
07:00 — 8:00 выдача стартовых номеров категории «Sprint 15» и "Nordic Sprint 15"
09:00 старт категории «Sprint 15» и "Nordic Sprint 15"
Все финишировавшие и уложившиеся в контрольное время на всех дистанциях награждаются медалью финишера. Выявление победителей и награждения на дистанциях "Nordic Sprint 15" и "Nordic Trail 35" не предусмотрено. Итоговый протокол будет опубликован на сайте tengriultra.kz и http://www.nwalk.kz не позднее 14 мая 2019 года. Звонить Пн.-Пт с 10:00 до 19:00, Суб. с 11:00 до 15:00. Development of internal and external tourism. 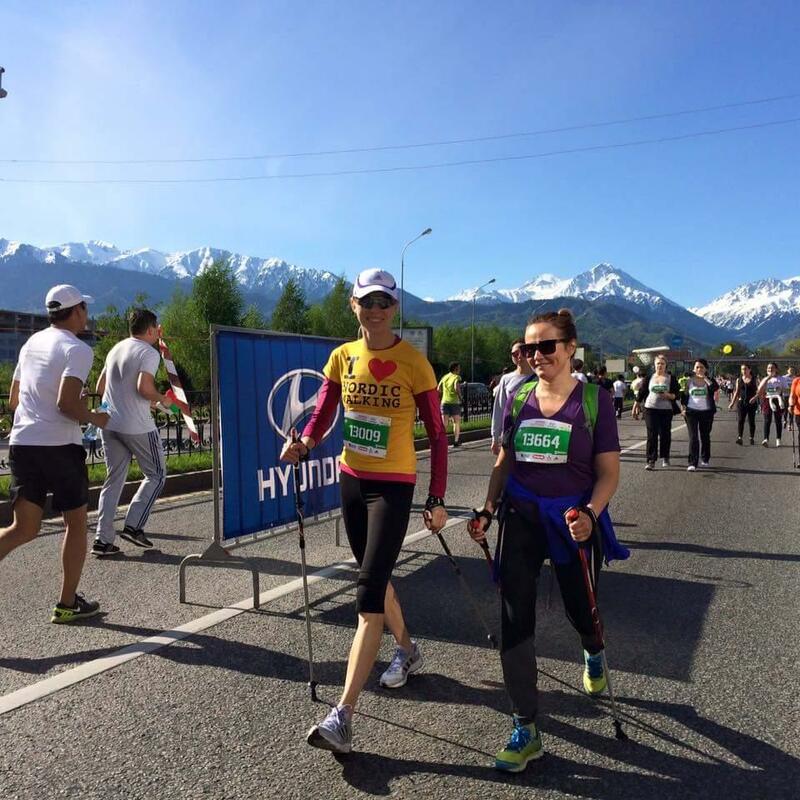 The organizer of competitions is NGO ‘Extreme Athletics” and School of Nordic walking “Eurasia” (Nordic walking LLP) with the support of the Russian Federation of Nordic walking. 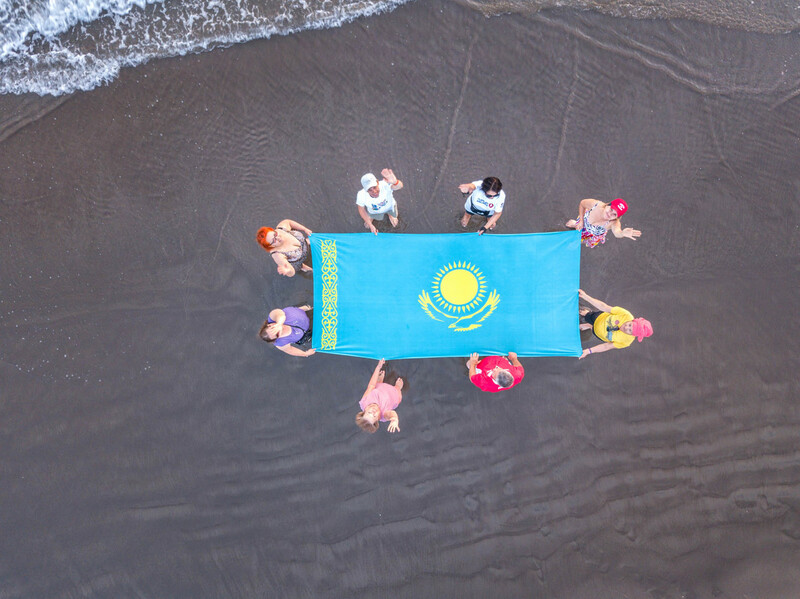 Competitions are held on May 10, 11 and 12, 2019 in the Almaty oblast, Republic of Kazakhstan, start and finish will be in the Tamgaly-Tas tract, Ili river valley. 4.1. The nearest large town from the base is Almaty. There is an international airport. From Almaty airport shuttle pick-up will be organized. Shuttle service is charged separately, the round ticket costs 5000 tenge. Departure is at 2.00 p.m. on May 10, 2019 from the intersection of Baitursynov and Satpayev streets (Astana Hotel). Departure is at 1.00 p.m. on May 11, 2019 from the intersection of Baitursynov and Satpayev streets (Astana Hotel). Departure is at 8.00 p.m. on May 11, 2019 from the Tamgaly-Tas to Almaty. Departure is at 4.00 p.m. on May 12, 2019 from the Tamgaly-Tas to Almaty. Age limits: at the time of the start the participant should not be: under the age of 18, there is no upper limit for age. We strongly recommend all participants to get medical check-up and have insurance against unforeseen circumstances. Competitions are held in the remote steppe site and are potentially unsafe. By applying for a race, participants take responsibility for their health and all possible risks associated with participating in competitions, and exempt the organizers from any material, civil or criminal liability in case of physical or material damage suffered by them during the race. Participants guarantee that they are aware of their state of health at the time of start, the limits of their own physical abilities and the level of their technical skills. Each participant before getting the start package signs acknowledgement of the start organizers’ disclaimer.
! At any point of the route, the organizers may ask to present compulsory equipment. In case of the absence penalty time is 1 hour for the lack of each item from the list. Doctor's certificate of admission to the competition is desirable but not mandatory. > The 15 km distance: Start from Tamgaly-Tas - moving along a dirt road to the North, after 2.5 km is off the road, then driving across hilly terrain off road - feeding station (there is also an e-check point), turning point - moving along a dirt road to the finish (finish at the start point in the competition camp). The actual distance is 13 km. movement to the North - dunes - exit to the sandy road, moving to the West - feeding station, e-check point, descent to the river - close to the river turn to the South - moving along the river on a dirt road - food point, electronic mark - movement on a clay road along the river - feeding station - continue driving to Tamgaly-Tas, finish (finish at the start point in the competition camp). The actual distance is 36 km. 07:10 p.m. - Start of briefing for participants of “Ultra 70” and “Ultra 70 Relay” categories. 12:00 p.m. (at noon) - beginning of issuing bib numbers for participants of “Sprint 15” and “Trail 35” categories. 7:00 p.m. - closing of issuing bib numbers for participants of “Sprint 15” and “Trail 35” categories. 07:10 p.m. - opening of Home Credit Tengri Ultra 2019 and ceremony of awarding the winners for “Ultra 70” and “Ultra 70 Relay” categories and ‘Nordic Marathon 42’ distance. 07:45 p.m. - briefing for “Sprint 15” and ‘Trail 35’, “Nordic Sprint 15” and ‘Nordic Trail 35” categories. All finishers and those who clear the course within the time allowed at all distances will be awarded the finisher's medal. Preliminary scores will be published on the Information board in the competition camp, as well as issued to each participant at the time of his/her finish (printout with finish time, intermediate cutoffs at control points). A pick of winners and awards at the distances ‘Nordic Sprint 15’ and ‘Nordic Trail 35’ are not provided. The final record will be published on tengriultra.kz and http://www.nwalk.kz websites by May 14, 2019 at the latest. Competitions are held at the expense of entrance fees of participants, the organizers ' own funds and sponsorship. e-check (start/finish, intermediate points), timely publication of results in the opening camp and on the website of the race. 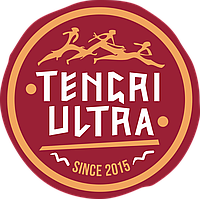 Check in for the competitions is open on the website tengriultra.kz from 16/05/2018 through 05/05/2019 inclusive, and from 06/05/2019 it will be available only at the base, provided there are free slots for entry. Participant is considered checked in after payment of the entrance fee. The organizers reserve the right to refuse any entry without further explanation. At the place of the competitions there are no housing structures, only tent accommodation is possible (camping in the wild). No restrictions for self-placement, setting up own tent is free. You can order full-board or only meals. The accommodation service includes the following: warm sleeping bag, insulating pad, one place in a 2-person tent. 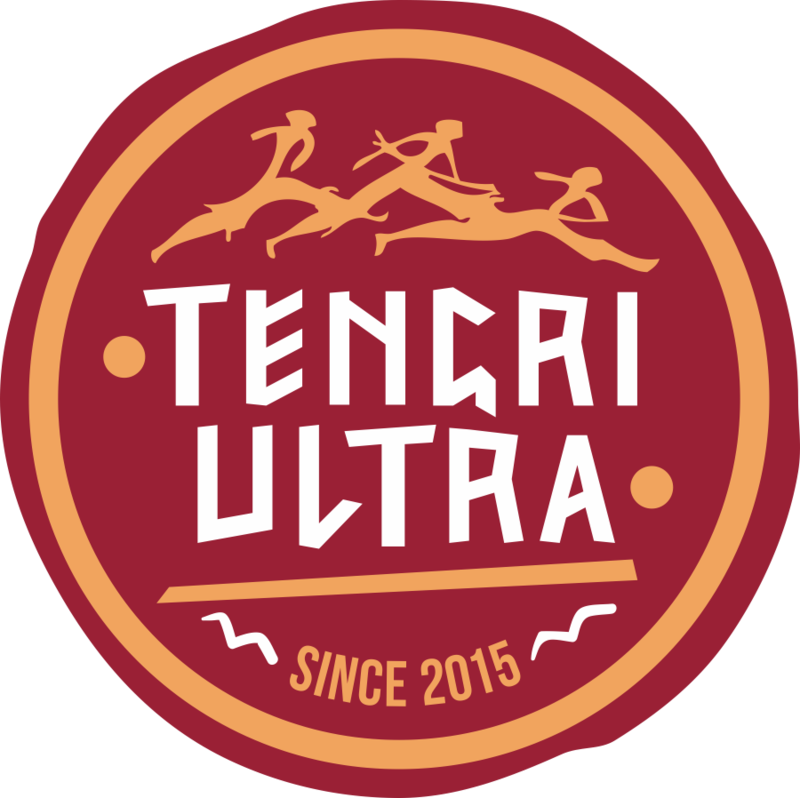 The organizers will provide the opportunity to pre-book and pay for accommodation and meals at the official website tengriultra.kz in the section ‘Services’. Call Mon-Fri from 10:00 a.m. till 07:00 p.m., Sub. - from 11:00 a.m. till 15:00.